1) The State was the last entity to touch the structure, so they have the liability for potentially causing the failure. If either of us (Your client, Brush Road) does some sort of temporary fix, we would lose the ability in court to blame the entire failure on the State. The state recognizes this, and as potentially the liable party, they have an offer on the table to pay $42,000 to us for a permanent fix. If we don't do a permanent fix, we can't get the State funding for a temporary fix, - so we would lose the $42,000. (See the attached agreement and Release). Do we really want to let the State off the hook? 2) It isn't even clear what sort of temporary fix anyone could do; the contractors advise us that the permanent fix is the cheapest route. Any fix we did which was of a temporary nature would be wasted money - later we would have to spend the full cost of a permanent fix, and without the state money, we'd have to find $42,000 from somewhere ($1,400 more from each property owner), plus money to pay for the temporary fix. 3) With the State money, plus the money Brush Road already has, we can do a permanent fix it now, with no extra cost to your client. Problem will be solved forever! We can do it just as Sal said - fix the existing structure now, without expanding the area. 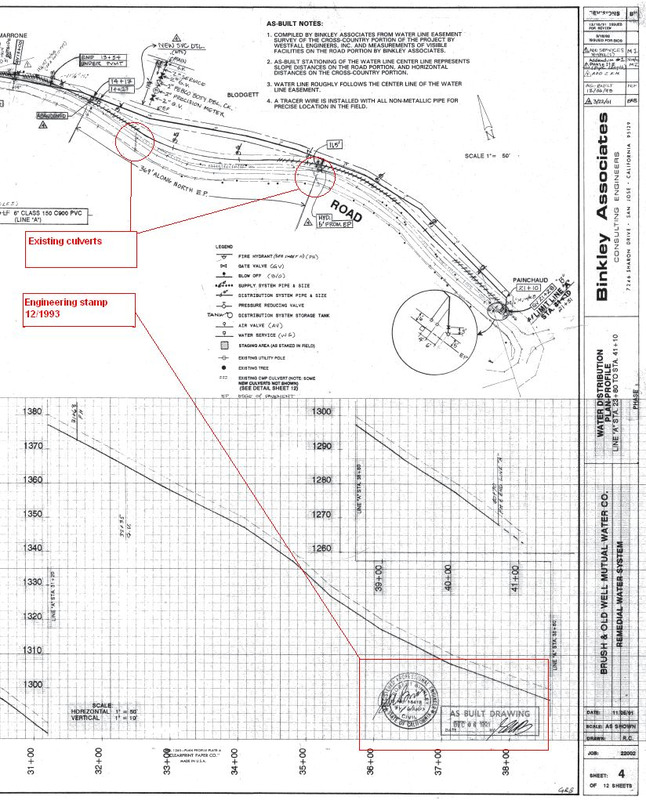 l. BRC and the Ridge Road Owners will take full responsibility for the design, removal, repair, and reconstruction of the Brush Road Segment and in particular, the subject drainage culvert, and will pay for all fees, building and/or repair costs above and beyond the amount of any contribution by the State. 2. BRC and the Ridge Road Owners will assume in perpetuity, permanent responsibility for repair and maintenance of the Brush Road Segment including the subject drainage culvert at their own expense up to the State's right of way line. In order to take the State's money, we need to set up some way that we can comply with item 2: maintain the structure in perpetuity, with the "we" being Brush Road Corporation, the owner of your property, and the owners of the Ridge Road properties. I don't know of another way to do this other than via an easement. Your client suggested an easement. We proposed one. You were unhappy with the original proposed size. We have therefore made it as small as possible, just encompassing the area around the existing culvert & pipe. 4) We are very happy to discuss the road culvert at the top of the canyon. We do not feel that there is time to discuss it before the construction season closes, nor is there time to construct any alternative structure before that same season closes. We feel that the repair of the road culvert was done legally; and that the repair has had no negative effect on the drainage culvert, and actually that it has had a positive effect on your clients property. 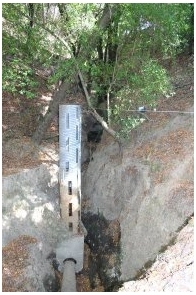 So in the interest of time, we are willing to sign an agreement that your client disagrees with our position on the road culvert, and wishes to continue to discuss the matter with us, and that any agreement he makes with respect to the failing drainage culvert does not commit him to an agreement on the road culvert.